I confess, I chose the title for this post out of a love for the assonance, but the more I mulled it around, the more fitting I think the title is. This project is a study of people in its own right. 26 authors from all different walks of life and all over the world writing whatever their heart desires, compiled into one volume. It's absolutely fascinating. Honestly, I consider myself blessed and absolutely humbled to be considered among all of these talented authors. 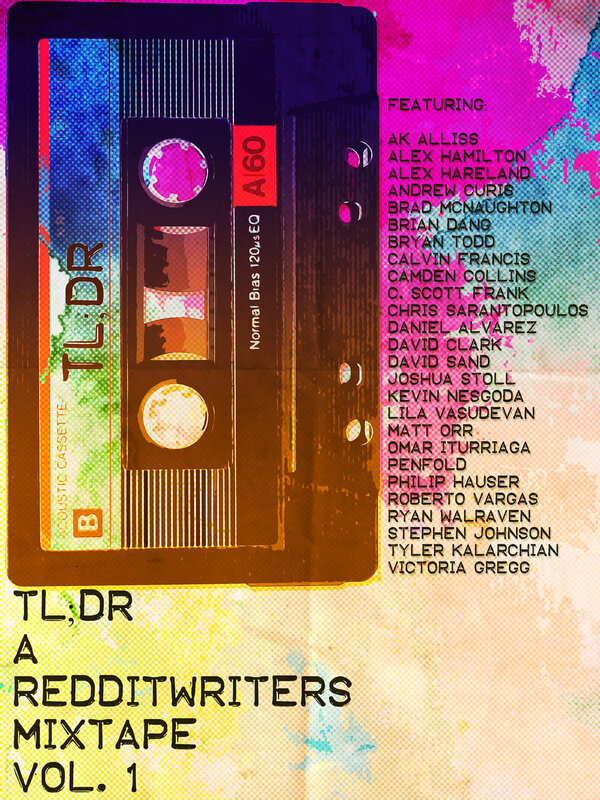 TL;DR is a fantastic and bold project from the #RedditWriters community to allow talented writers from Reddit who have banded together on Twitter to form an amazing community to express themselves and show their creativity. This community is absolutely incredible and has been a distinct catalyst to my writing in more ways than I could have ever expected. From publishing advice, design advice, to beta reading and providing feedback, I have grown as a writer and as a creative. But most importantly, I've made great friends. People whose lives and writing careers I've found myself invested in. People I want to help and see succeed in awesome ways, who I can't wait to log in and check on daily.With #RedditWriters, we've captured something special. With #RedditWriters, we've captured something special. Something unique and beautiful. And TL;DR cuts off a slice of that specialty to share with the whole world and I couldn't be more proud to be a part of it. Will you check it out? Buy a digital copy, or wait for a hardcopy (I'll edit this post with details when they arrive) and support us? This is a special kind of support. This is a vote of confidence, as we are all striving for something. All proceeds go to Doctors Without Borders, so by supporting this project, you are not only supporting an incredible group of international writers, you are supporting an incredible international cause.